As some of you may know, in my current WIP, there is romance. This has been a new subject for me to write about, being that my first manuscripts focused instead on family and friendships with very little romance. But in WIP, there are quite a few relationships blooming, particularly with my main character. To those who have been following me for some time now, you’ll know I often struggle with romance in literature. I find it often feels forced or rushed, unrealistic in its approach. I always appreciate a genuine romance, and that’s something I’ve been trying very hard to write within my own work. I’ll admit, being someone who has about zero experience with relationships, this has proved to be quite difficult. After some time, I think I’ve found my footing with these characters and their relationship, although it will need some work in edits. Now I wouldn’t have been able to get this far in my novel and develop these feelings so thoroughly without the assistance of music. Music has always been one of my core muses when it comes to writing, and in this novel especially, it has helped take my mind to new places and ideas. So I’m here today to share some of my favorite lovey-dovey songs that have helped me construct this unbreakable bond between these two broken little lovers of my book. When it comes to romance in literature, what are some things you want to see more of or less of? I would love to hear feedback from both readers and writers alike as to what you think would help improve relationships within books to make them more realistic. And while we’re on the topic, what are some of your favorite love songs? Which melodies give you those lovely little thoughts, those romantic scenes for your stories? I would love to hear your recommendations! Before you go, be sure to follow me on Spotify to delve further into my wild writer’s mind. world, to accomplishments that stand the weight of time. These dreams go beyond hashtags and high-resolution photos, and the best part is that they’re well within your reach. In fact, they’ve always have been waiting for you. But when we’re afraid, it’s hard to pull back that huge curtain of fear and see our heart’s desires. Don’t worry; you just need help putting it all together. you…if you dare to reach out again. I was lucky enough to be contacted by the lovely Sarah Beth Moore (many of you probably know her as @newleafwriter on Instagram) and asked to review an early copy of her book, Get the Hell Over It, a motivational book for creatives everywhere. Once I sat down and began reading, I couldn’t stop devouring Moore’s words. She has this way of speaking as though you’ve known her for years, listening to your best friend as they give you advice on your career. Sometimes you think you know exactly where you stand with a word, but then you realize you never really saw to the heart of it. I agreed with everything Moore said, from discovering and following your passions, to understanding when you should keep certain activities hobbies. I really appreciate her honesty with the creative field, because it isn’t easy. It drains your heart and soul, it beats you down when you’ve felt you couldn’t fall any lower, and just when it seems like there’s an opportunity, it suddenly slips through your fingers like sand. Being in the creative industry is more difficult than most people realize, and I think Moore captures that perfectly. Your passion can only take you so far. You have to place in hours upon hours of hard work and dedication in order to succeed, and even then, you might not. But we do this anyways because it’s our passion. It’s what makes us feel alive. And without creativity, where would the world be? And no matter what form it takes, creativity is power, wealth, currency. 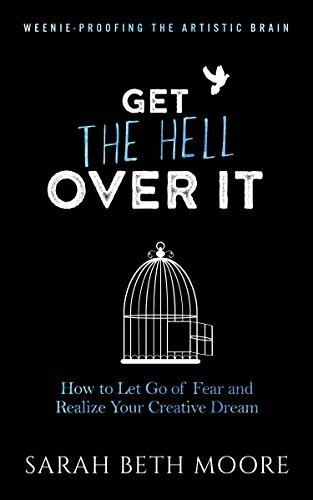 If you’re a fellow creative looking for some motivation and inspiration, then I highly recommend picking up Get the Hell Over It. Thank you again to Sarah Moore for giving me access to an ARC of her book. Get the Hell Over It is expected to be released September 1, 2017. Pre-order your copy with one of links below! For all of you creatives out there, what is your advice for staying positive in such a tough industry? What keeps you motivated even when everything seems to be falling against you? I’d love to hear your thoughts and ideas on this. One of the first people I connected with on bookstagram was the lovely Christine Spoors. I believe it was shortly after we began following one another that Christine told me she was writing her very first novel, and I was, too. We swiftly bonded over both reading and writing, supporting each other to follow their dreams and keep writing, no matter the blocks that fell before us. And now, about a year or so later, Christine is publishing her novel, The Changeling’s Journey! I’m so incredibly proud of her and thankful to have such a positive, inspiring influence in my life. I had the honor of interviewing Christine and picking her brain about The Changeling’s Journey, her writing process and future endeavors. 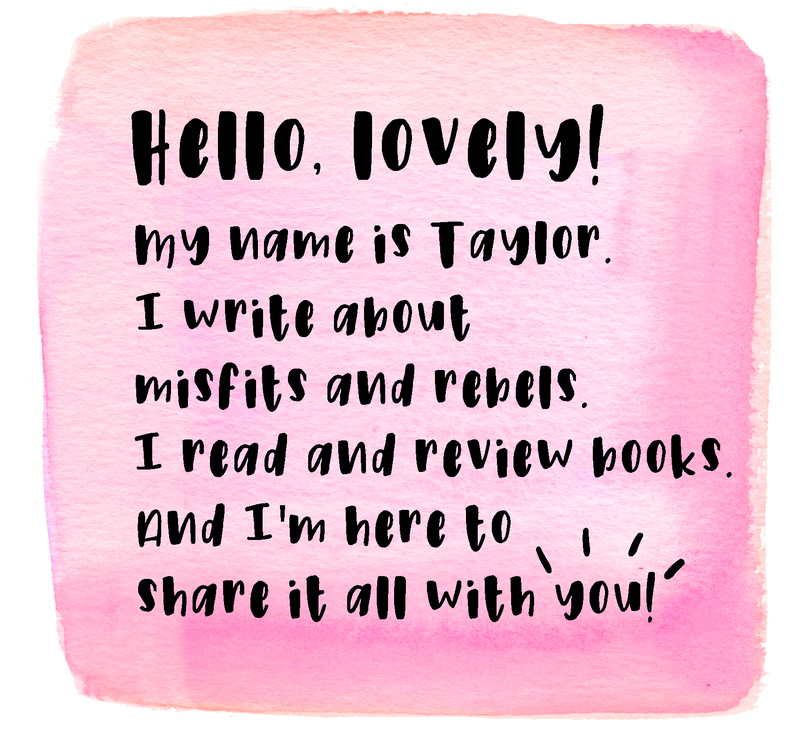 Taylor: Welcome, Christine! Before we get started, please introduce yourself. Christine: Hello, my name is Christine. I am a Scottish writer who recently graduated from university. I have been part of the online book community as WeeReader for almost three years now. The Changeling’s Journey is my first book! T: What originally inspired you to write The Changeling’s Journey? C: I have always wanted to read books based on Scottish folklore, or fantasy inspired by it, but could never find one that wasn’t filled with stereotypical accents and focused on “hot” Scottish men. (Luckily, I have found great books since 2015.) I decided to give writing a try myself, figuring that as a Scot I’d maybe be less likely to use stereotypes. I quickly found that I loved writing and fell completely in love with the story. T: Tell us what one of your writing sessions is like. What are some must-haves you need while writing? C: I always like to start my writing session by making a cup of tea or a mocha. I sometimes wonder how many cups of tea it took to write The Changeling’s Journey. I used to listen to music as I wrote (always songs without lyrics), but recently I’ve been writing in silence. I tend to work on two or three chapters at a time, meaning that I can jump onto a new scene when I run out of ideas. I sometimes use Pinterest for inspiration and I have a notebook filled with ideas and plans for each book. T: The Changeling’s Journey is told from three perspectives. Did that make the writing process more challenging for you? C: As The Changeling’s Journey was the first book I ever wrote, I think the three perspectives made it easier. For a while I was basically writing three different stories in the same world, which made it easier to reach a novel length word-count. It was also great to be able to jump between stories if I was ever stuck on another. T: Mythology can be a tough, but fun subject to write about. What methods of research did you use in order to write the mythology in The Changeling’s Journey? C: Honestly, I began with Wikipedia. I know it’s not always the most accurate source of information but the folklore and mythology sections are very detailed. I put my own twist on the folklore and chose interpretations that fit my world best, but Wikipedia was a really great source. As my book takes the idea of changelings and gives the folklore a new spin, I found it more challenging when I reached a point where I had moved past the original folklore. The most research I had to do was for world-building! T: The Changeling’s Journey features an f/f romance, which is AMAZING. Representation like this is so important. What inspired you to write a gay relationship? C: As I based my fantasy world on a pre-Christian Scotland, I was trying to imagine what life would have been like before Christianity. I wanted to remove the idea of “sin” and tried to write a world free from homophobia or sexism. (I hope I have achieved that.) As I began writing, I fell in love with the characters and I think writing really helped me to figure out and understand my own sexuality. As I edited and changed the book, I realised that I’d subconsciously implied that heterosexuality was the norm. It is something that changed, and hopefully improved, with edits. T: I know as a writer myself this is a difficult question, but I must ask, who was your favorite character from The Changeling’s Journey to write? C: I definitely went through phases of loving each POV character the most and getting trapped in their stories. I think Morven may be my favourite, simply because the idea for the story began with her. I’ve had a few readers who know me say that Morven reminds them of me, so I think I accidentally wrote a lot of myself into her character. T: Now that you’ve finished The Changeling’s Journey, what are you currently working on or soon to be working on? C: I am now working on the second book set in my fantasy world. I hope to write many books set in this world, telling smaller stories as well as huge world altering stories. This second book has one POV and is set in one kingdom, rather than spanning the kingdoms like The Changeling’s Journey. I’m really looking forward to including new parts of Scottish folklore to the world and I think this second book will be more of a fantasy romance, rather than a fantasy adventure! T: Lastly, do you have any advice you can give to all of us writers and aspiring authors? C: I spent weeks watching author interviews and reading blogs filled with writing advice before I began writing. I have to say that my main piece of advice is don’t worry about writing advice. Every author is different. The best thing you can do is keep coming back to your story and only write what you love. If you’re ever bored by your writing, then you need to cut it or change what is happening. Ailsa is dead. Leaving Morven the last surviving changeling in the village. Everyone knows it is only a matter of time before she too is dead. Desperate to find out why the fairies steal human babies, and to save her own life, she leaves her family behind, travelling north into the fairy kingdoms with her best friend. They soon find that making their way through vast magical forests, across kelpie-ridden lochs and over seemingly endless mountain ranges is more than they were prepared for. Despite the countless evenings spent listening to stories about adventures, fairies and magic, they find themselves out of their depth. Fighting to stay alive. Meanwhile in the fairy kingdoms, Princess Freya of Culhuinn struggles to cope with life now that her love has been taken from her. Whilst Queen Euna of Norbroch spends more time lost in her memories than she does ruling her kingdom. One changeling’s journey to save her life will alter their world forever. The Changeling’s Journey will be released July 31, 2017. Pre-order your copy or add it to your list with one of the links below! I have to give a massive thank you to Christine for being such a kind friend and being subject to my very first interview. (This was actually loads of fun and I should attempt to do this with other authors.) I loved learning more about her process and ideas, and especially her advice for us fellow writers! I hope you readers and writers alike enjoyed this little interview. Be sure to follow Christine on the links provided below, because she has a STUNNING feed and shares all sorts of book recommendations and writing updates. 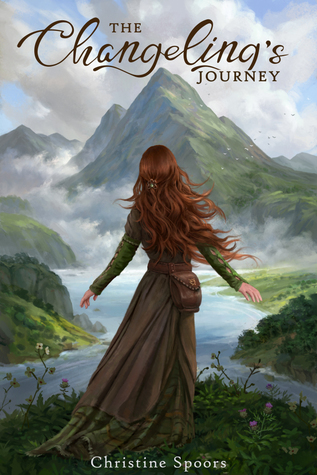 And of course, don’t forget to check out The Changeling’s Journey!